After their epic five-disc indie-pop compilation, Scared to Get Happy, Cherry Red have continued with their mining of the past by delving into shoegaze with a sprawling, 87-track, five-disc set, Still in a Dream – A Story of Shoegaze. 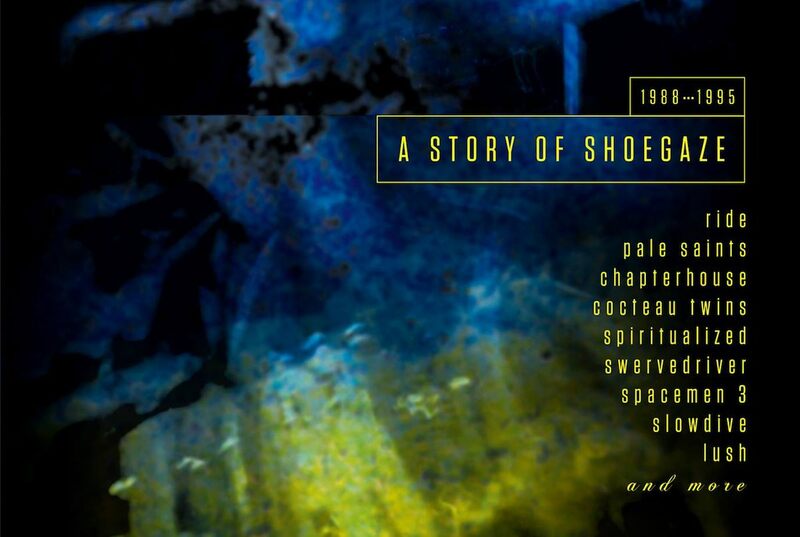 Shoegazing was an initially praised, largely UK-based scene created by music journalists, lumping together a number of effects-driven guitar bands, that was quickly forgotten and derided as the first wave of grunge floated across the pond and was latched onto as 'the next big thing'. However, shoegazing didn't disappear, it simply evolved, with predominantly US artists taking over the reins, branching out into their own directions. This compilation does a pretty good job of documenting the rise and 'fall' by focusing on the years 1987-1995, taking a predominantly chronological flow in its tracklisting and encompassing a large number of long-forgotten artists along with more 'established' pioneers and innovators. With Shoegazing enjoying a resurgence, now is as good as time as ever for this compilation to appear and it will introduce even some of the more devoted fans to artists they're unlikely to have heard for years if ever before. The first thing noticed is that there's a large My Bloody Valentine-shaped hole in the record, as sadly they could not be included for licensing purposes, but disc 1 does a decent job in assembling together the first wave. One of the immediate surprises with the selection of tracks on the record is that though the expected pioneers are present, lesser-known tracks are often chosen (such as The Jesus And Mary Chain 'Rollercoaster', The Cocteau Twins 'Cherry Coloured Funk'. The Telescopes 'Precious Little'), and these are neatly mixed with better-known classics (The House of Love 'Christine', Kitchens Of Distinction 'The 3rd Time We Opened The Capsule', Pale Saints 'Sight Of You'). The disc also demonstrates how some of the originators strayed quite heavily from the expected 'Shoegaze' line , such as A.R. Kane's ambient-dub 'Baby Milk Snatcher', AC Maria's 'One Of These Girls Are Missing', to which half of the Dream Pop releases these days could pay homage to but with the added bonus of sampling elements mixed with lightly chorded guitar that echo the great Disco Inferno and Loop's drone-heavy psychedelia with 'Arc-Lite (Sonar)'. All of which have seem to have inspired others to build upon in more recent times. Whereas Disc 1 contain most of the originators, Discs 2 and 3 focus more on the 'classic' era. The class of 1990 and 1991 are all present, with Ride, Lush, Slowdive, Swervedriver, early The Boo Radleys, Bleach, Catherine Wheel, Chapterhouse, Spirea X and Moose all making appearances with pinnacle tracks, with Moose's effervescent 'Suzanne' one of the absolute highlights of the era. Some of the selected artists may be horrified by their inclusion but would often have to concede guilt by association, such as Cranes, more in sync with The Cure or Siouxsie, and Curve, whose 'Ten Little Girls' pretty much set up the template for Garbage to base their entire career on. Though the rarely considered with shoegazing Galaxie 500 and Ultra Vivid Scene were present with excellent tracks on the first disc, the USA makes more of an impact on these two discs, with Lilys, Black Tamborine, Velocity Girl and Smashing Orange all producing fuzzed-up gems. Mainland Europe is equally represented by The Netherlands' The Nightblooms and their short but deliriously dreamy 'Crystal Eyes' (from the equally excellent Butterfly Girl EP), Czech Republic's The Ecstasy Of St Theresa and their noisy but hypnotic 'Square Wave' and the always underrated Whipped Cream with 'Explosion', delivering a melodious racket from Sweden's second city. Along with the previously mentioned Moose, the highlights of these two discs come from a couple of unexpected sources, with artists who are rarely associated with Shoegazing but seemed to produce one-off moments of wonder that astonished and fitted perfectly on the periphery. Moonshake's 'Gravity' is a pneumatic drill of bleeding guitars with Margaret Fiedler's murmured vocals surrounded by a cacophony of beautiful noise and 'Geek Love' is a slow-burning, building, summery epic that should have launched Bang Bang Machine's rise beyond the mainstream. Despite all these highlights it's the last two discs that seem to resonate the strongest, building on the foundations of the previous artists, progressing forward by different steps, with tracks that hold up better 20+ years down the line. Flying Saucer Attack's 'Soaring High', and Astrobrite's extraordinary 'Orange Creamsickle' take the experimental barrage of noise route, interrupted by the faintest of vocal melody. Bardo Pond go one step further by pulling in Can and Captain Beefheart with their raucous 'Die Easy'. The Swirlies throw in everything but the kitchen sink with the joyously fractious 'Park The Car By The Side Of The Road'. Medicine feed the MBV copybook through Hitchhikers Guide To The Galaxy's Deep Thought, to produce the effortlessly sensuous 'Aruca'. Secret Shine ride the Sarah Records wave building on 14 Iced Bears' sketchy 'Surfacer' from Disc 1 and propel it to light speed with a touch of dreamy saccharine, and the sadly-forgotten Blind Mr Jones, show initiative and guile in producing one of the strongest tracks on the compilation. Who'd have thought a flute could work as a lead instrument? There are also superb tracks from blink and you'll miss them artists, such as Drop, who barely existed outside of 1991 (the hypnotic 'Mirrored' evokes New Zealand's The Straitjacket Fits wrapped in a 4AD blanket) and Birmingham's Sweet Jesus, who appeared seemingly from nowhere in 1992 with a stream of brilliant, glam-laced feedback-rich singles, only to sadly disappear just as quick. Equally there are early noise-friendly tracks from heavyweights Mercury Rev and Flaming Lips before both were catapulted into the mainstream a few years down the line. The highlights of the last two discs though are Bailter Space's simply beautiful 'Shine', a wall of noise to die for, Seefeel's Krautrock-ambient 'Plainsong', with it's decaying repeated guitar-riff , drum beats and barely-whispered vocals like Neu drenched in The Northern Lights, Rollerskate Skinny's constantly on edge 'Miss Leader' and Drop Nineteens' breathtaking 'Winona', a song so warm and snug you constantly lose yourself into. There are a huge number of songs on this compilation that stand up well, but sadly there are a few that struggle under their rather weak production and sound horribly dated, such as Revolver's thin and weedy 'Heaven Sent An Angel' and The Prayers' forgettable 'Puppet Clouds'. Equally, there are a few artists that seem completely out of place on the record, such as Th' Faith Healers, Drugstore and The Dylans. Did they also really need to include 3 songs led by the different incarnations of Pete Kember (Spacemen 3, Sonic Boom, Spectrum) and was it worth including Luna when Galaxie 500 are clearly a more worthy inclusion of the two. These are all trivial, minor talking points but when artists such as Northern Ireland's Chimera, Australia's Underground Lovers, The Naked Souls (The Czech band whose 'Sleep' would have fitted amazingly well here), The Heart Throbs, The Jennifers, Chicane (the early 90s band not the dance chart botherers), Sidi Bou Said and several others could have been slotted in their place, it's hard not to ignore. However, despite this it's all the more impressive that the compilers through the Still In A Dream Facebook page encouraged fans to put forward their favourite artists that were missing from the initial published tracklist and took many of those suggestions on board in the final listing. (I may like to take a partial credit for the inclusion of Submarine and contributed towards the choice of the Rollerskate Skinny track). Like it's predecessor Scared To Get Happy in addition to the discs themselves the box set comes with extensive sleeve-notes and band biographies, I'm just hoping the packaging is a bit more accessible so that the discs don't have to be hauled out with pliers to release them from their cell-like casing. Not only a welcome introduction for a passing listener but a hugely comprehensive and representative volume of a release that will reward and enlighten even the most die-hard fan, Still In A Dream is a superb collection that neatly soundtracks a hugely important part of musical history. I look forward to exploring the back catalogues of Majesty Crush, Coaltar Of The Deepers, Lowlife, Alison's Halo and Swirlies, bands I've either never come across or have barely explored previously, as well as welcoming back a plethora of artists that have faded into the background. Top review Steve. I'm supposed to have an interview with Neil Halstead of Slowdive about the release ..... Still waiting.